Forums-->Official announcements-->The Experiment has ended! Mind of a genius is a mystery. But even the greatest of geniuses sometimes aren’t able to understand minds of average citizens. While the Empire is on the edge of the greatest discovery which is about to change almost the whole world, the only thing they do is discuss some ordinary bauble, which is still created by the same genius, but only at a leisure. Are their own reflections really more important than the potential hidden in this experiment? All these thoughts and questions couldn’t get out of advisor Belir’s head provoking the whole scale of emotions from disappointment and despair to anger at himself and everyone around. And, of course, none of this helped the speed of summing up the conducted researches in any way. After all, besides exact calculations science as well demands cold mind. Lords and Ladies, another stage of the great experiment is completed – and honorable magicians of the Empire are expressing their gratitude to those who agreed to participate. While the results of the scientific experiment are collected in magic laboratories, you can already receive the award for your combat contribution I the form of a special "Mirror of Changes" artifact. Durability of the artifact depends on the number of scored points; the minimal number of points is 90. 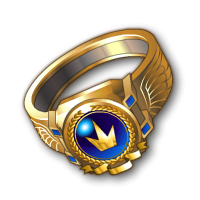 All Lords and Ladies who won at least once can receive a generous participation reward in gold. The award depends on your combat level and number of victories. 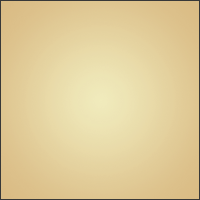 Receive gold on the page of Experiment. All Lords and Ladies who had over 105 combats and scored no less than 180 points will be awarded with 11 parts of the Imperial ring. In addition, all Lords and Ladies who scored no less than 110 points will be awarded with Imperial ring parts in calculation 1 part for each 110 points (up to 9 parts).